Wedding is a long process especially when you are preparing the things that are required for the big day. 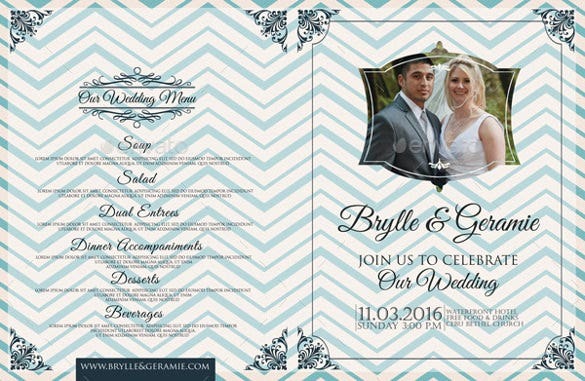 With Wedding Flyer Templates it can assist the organizer and the couple of inviting special people to attend for their wedding. 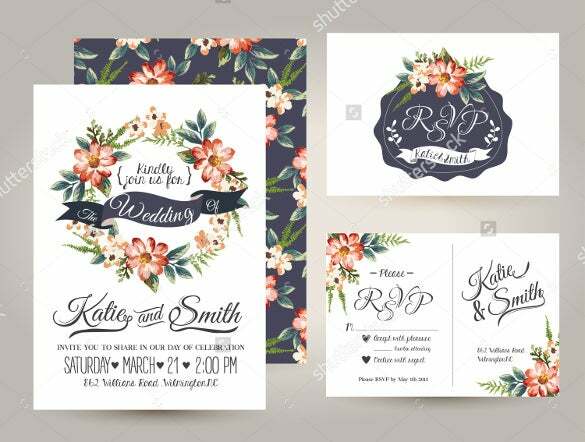 Offered in Microsoft word, excel or pdf file you can take many patterns as you can to pacify the suitable theme of the wedding. 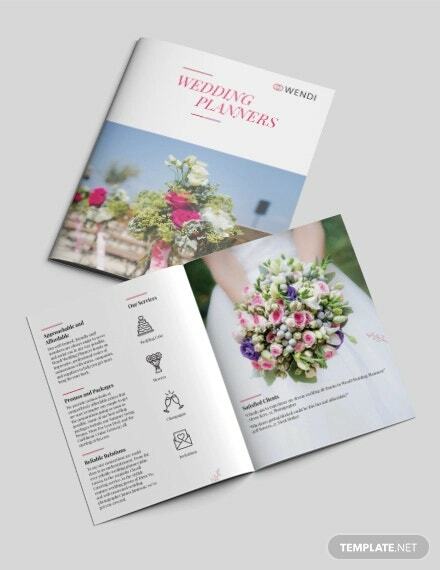 Any designs and styles you want to have for the brochure will be incorporated in the Wedding Templates as it can adapt to any images or layout you want for it to have. 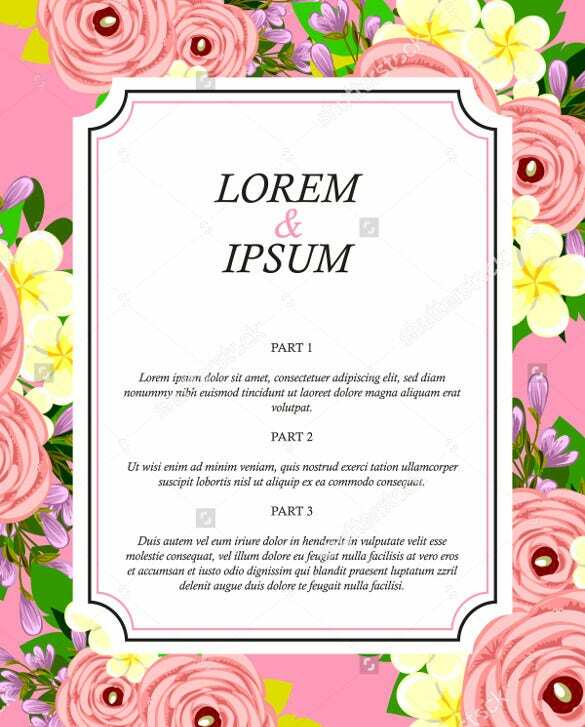 It would be just like typing or painting a card using this Brochure template. 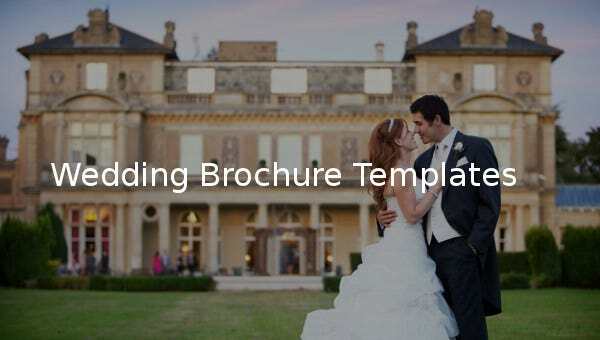 This is one of the most amazing wedding brochure templates available for you. You can replace the existing text with a personal note. 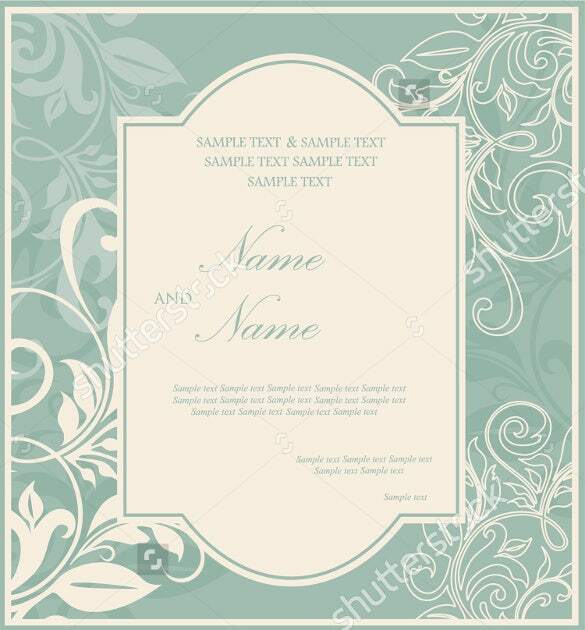 The template image is quite apt for creating the feel of a romantic wedding. 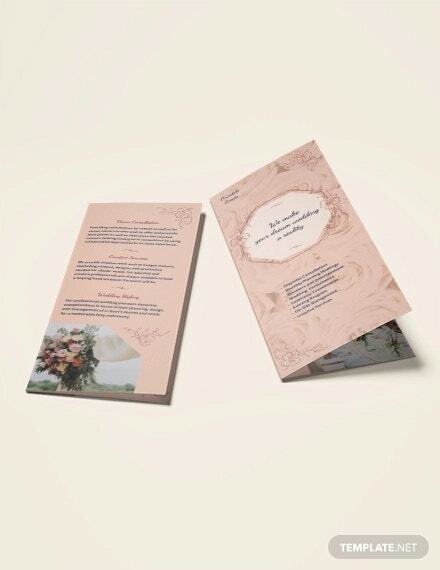 Wedding are said to be arranged in heaven; here is a heavenly designed wedding card for you. 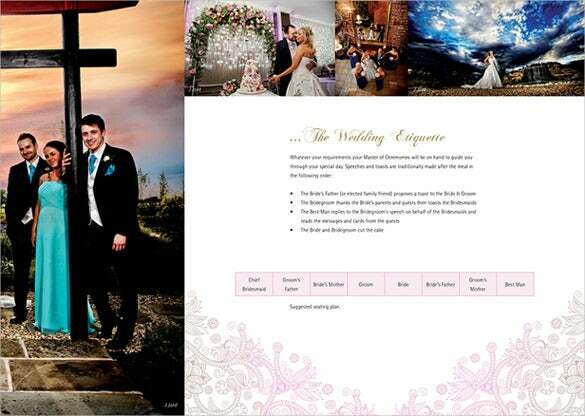 This is a fantastic piece of brochure designed by a wedding photography company. The theme color of this brochure is dark pink. As you know, pink is a soothing color that can provide a romantic tint. The clip art designs as well as the images in this brochure are quite impressive. 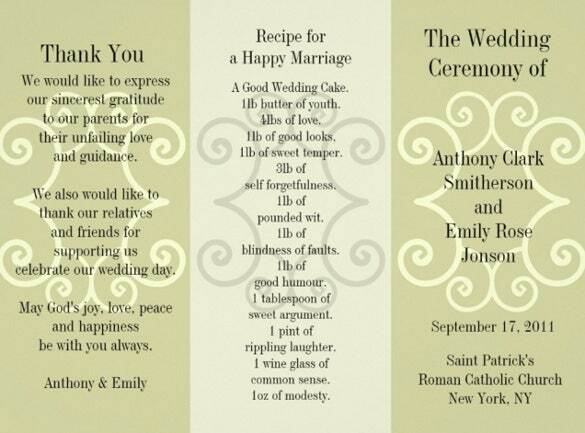 This is an example of a wonderful wedding card. 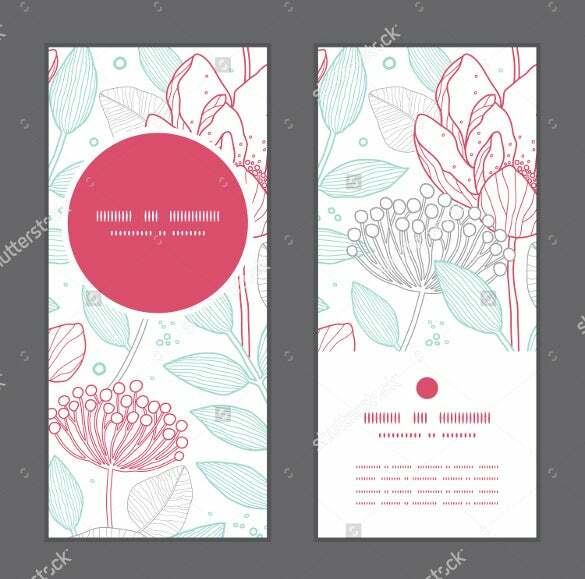 You can select this simple wedding card to invite people to the wedding ceremony. It is possible to type your personal details such as name, date, time, and venue to this template after downloading this card in to your personal computer. 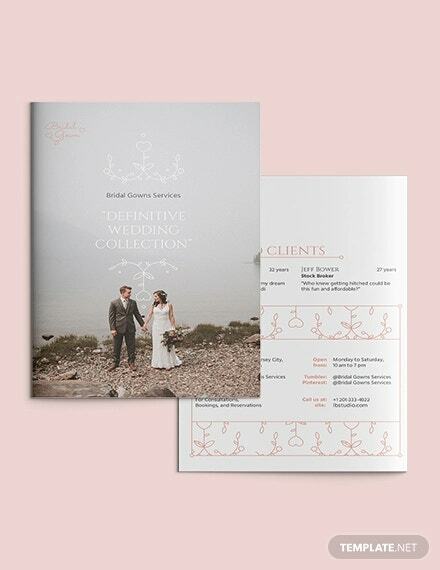 If you love classical, divine, neat wedding brochure, you can download this one. You will get a feel of divinity and love from this design. The fonts used here delivers clarity and vibrancy to the design. The color theme is white and bright. You can also edit the text given on the template. 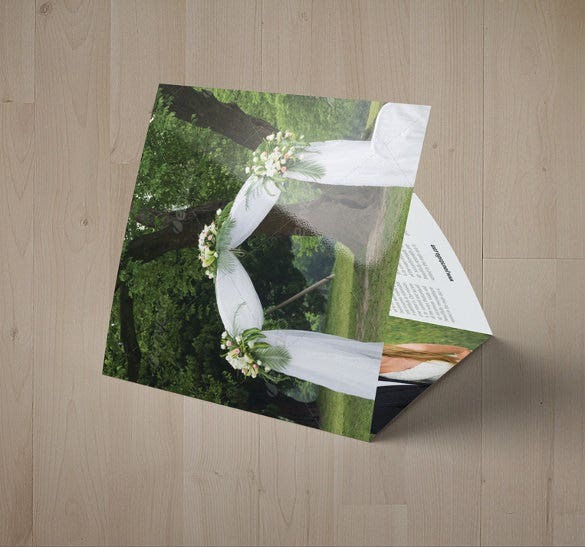 The use of a wedding brochure is quite obvious. You can use them to inform and invite people to witness the most important day in your life. 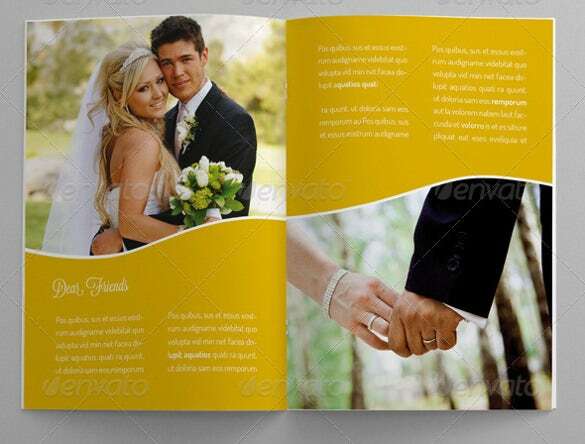 There are many types of wedding brochures. 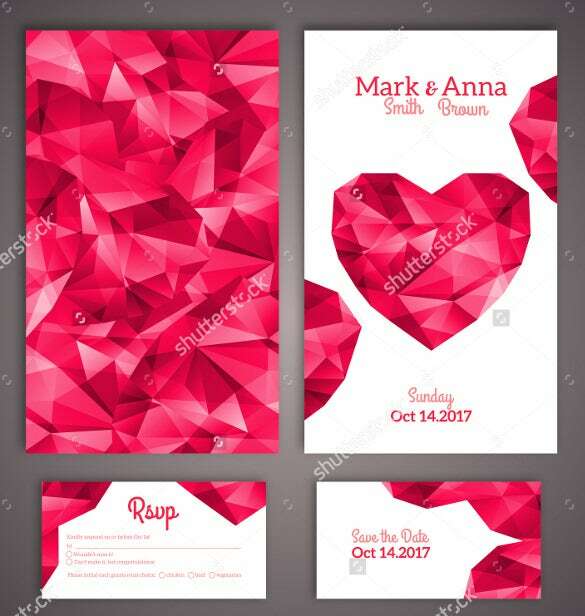 Mostly people use simple themes for a wedding card. 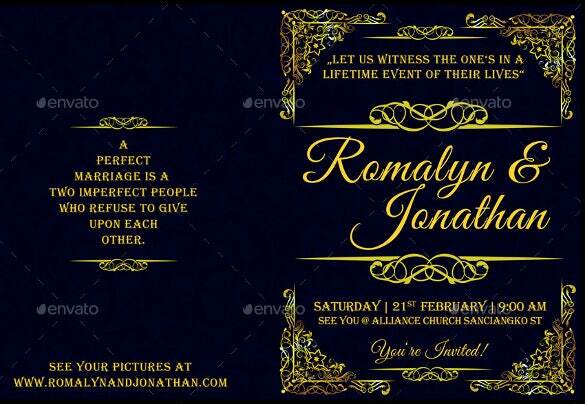 There are invitation cards, informative cards, and photo brochures. You can select anything according to your financial health. 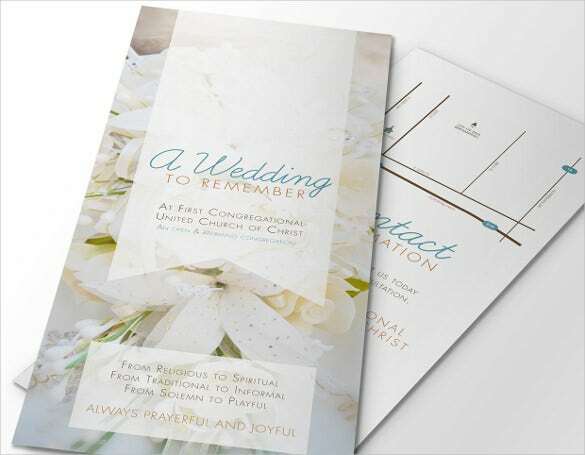 You can either hire an advertising or designing agency to create a personalized wedding card for you. 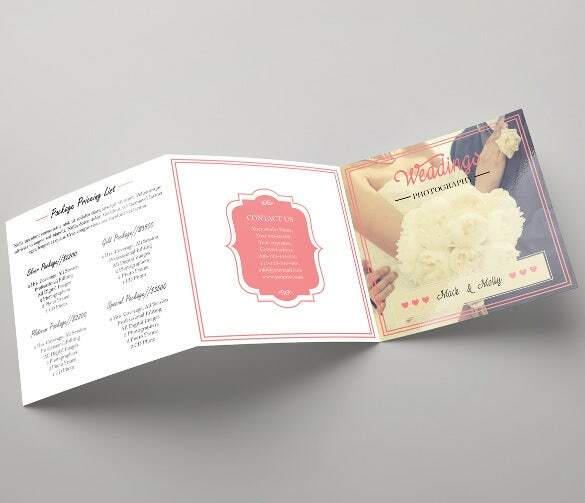 However, the easiest and affordable way of printing a wedding card is downloading it from here. You can get high quality images in different formats. Wedding is a universally recognized social norm. Everyone will need to select a wedding card in their life. 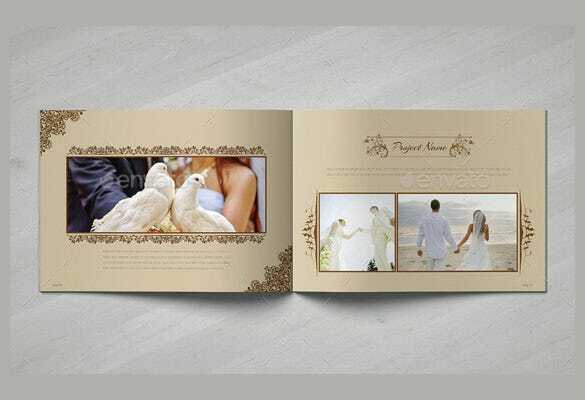 This is exactly the reason behind versatility and quality of wedding cards. 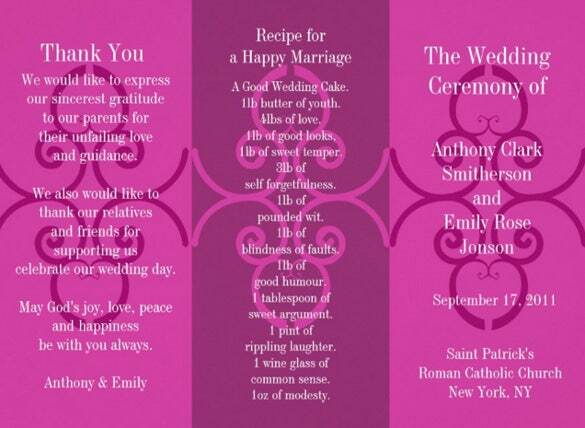 You can easily find a wide verity of wedding cards from online resources. 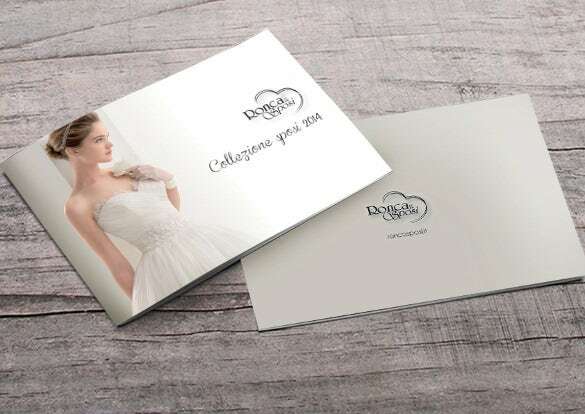 There are many shops and design companies that will create personalized designs for you. 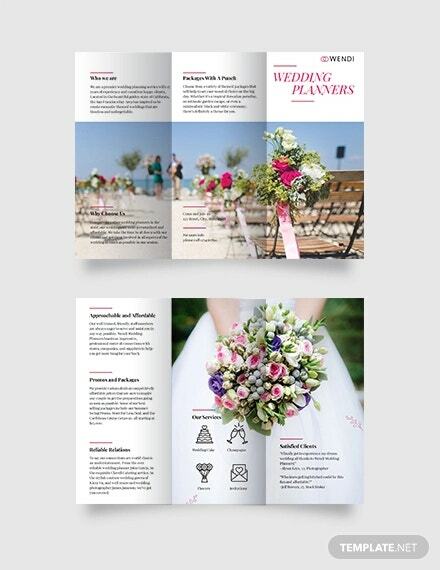 However, these online resources are the cheapest way to get your hands on a proper wedding brochure design. 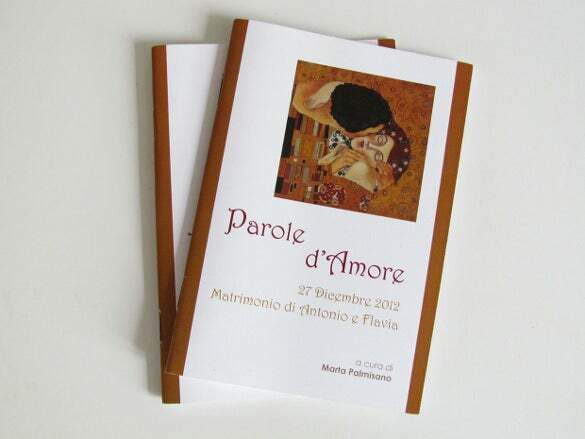 People will search for excellent wedding card designs for their friends or family members. 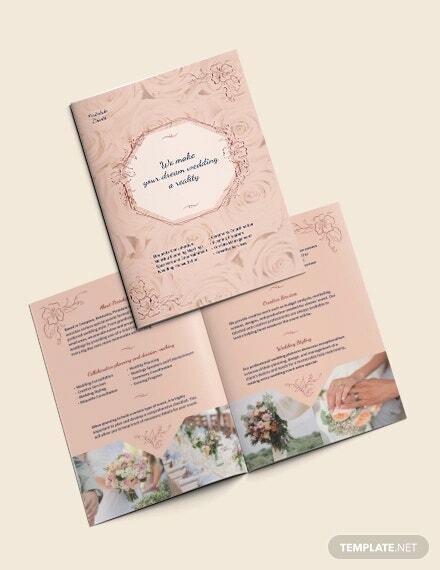 Here, an array of high quality wedding brochure templates are available in different formats. 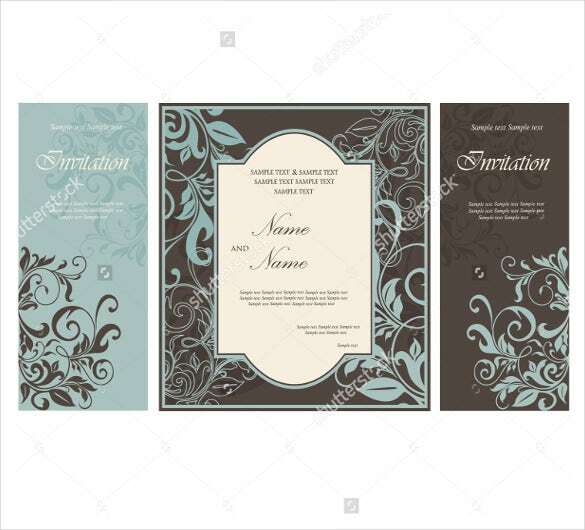 Wedding cards are used to invite people to the venue of your wedding. It is a social norm to invite family and friends to witness your special day. 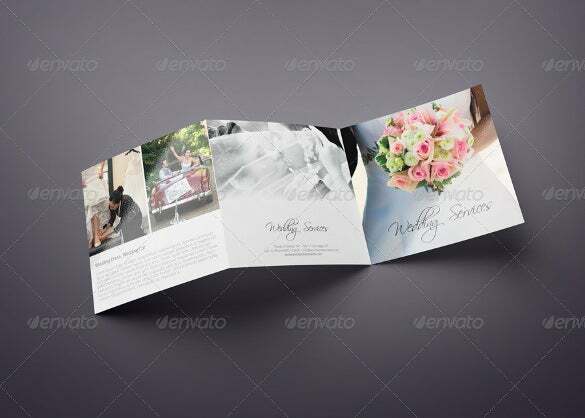 There are many benefits for using wedding brochure templates from online resources. First of all, most of these designs are available for free. 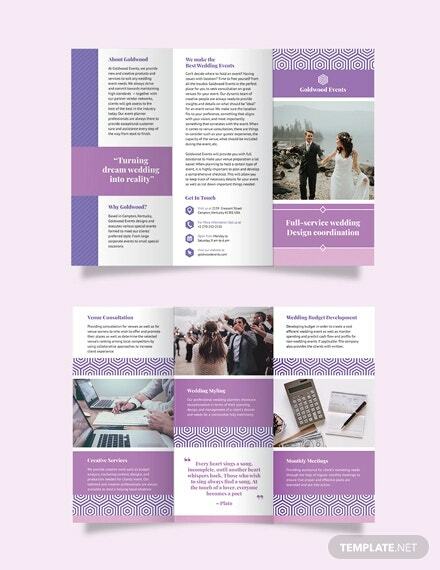 You don’t have to pay anything to download and use these amazing templates. 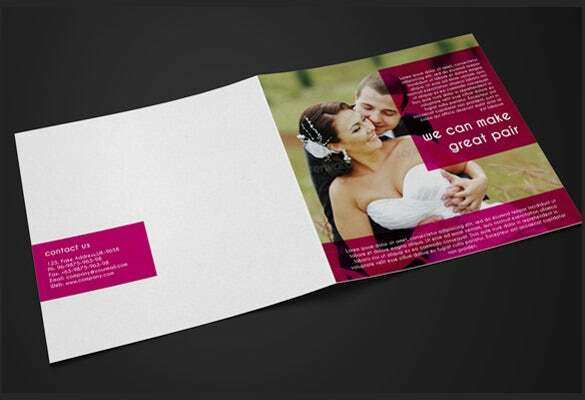 Another important thing about these online brochure templates is its quality. Only high quality images are available here. 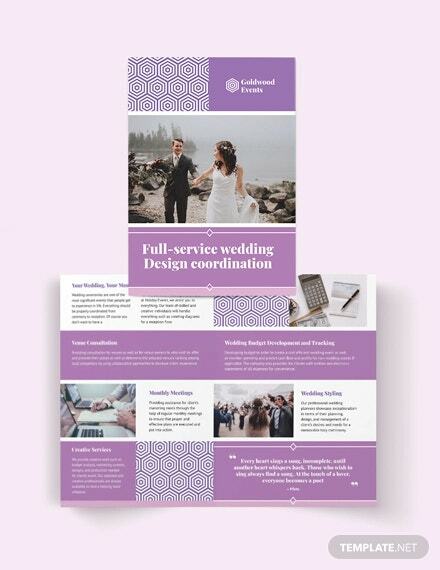 You can download these free brochure templates in different formats such as PSD, AI, Vector, and EPS format. 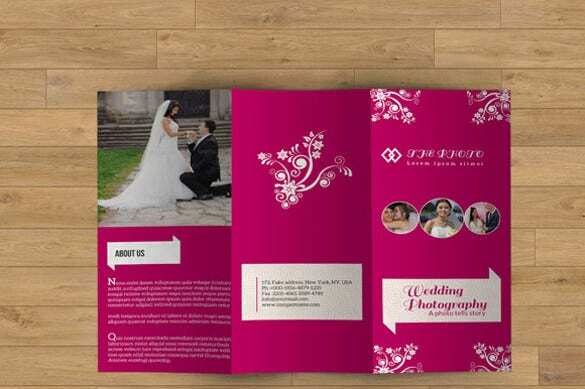 If you are searching for a good wedding brochure template, you don’t have to spend money on professional designers. 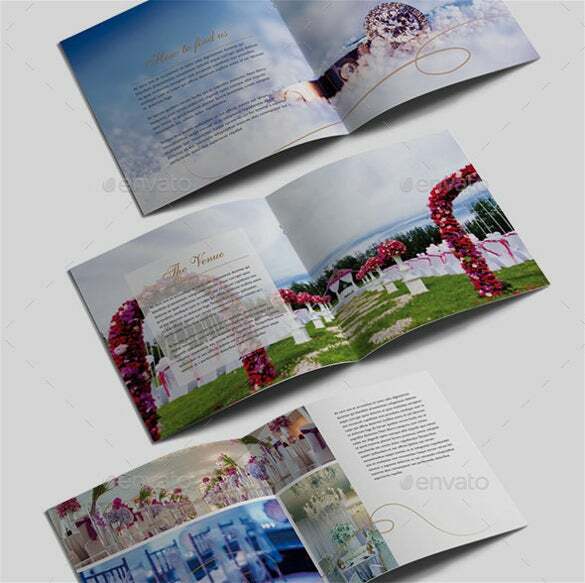 There are many high quality wedding brochure templates available here. You can download them in AI, Vector, as well as PSD format. 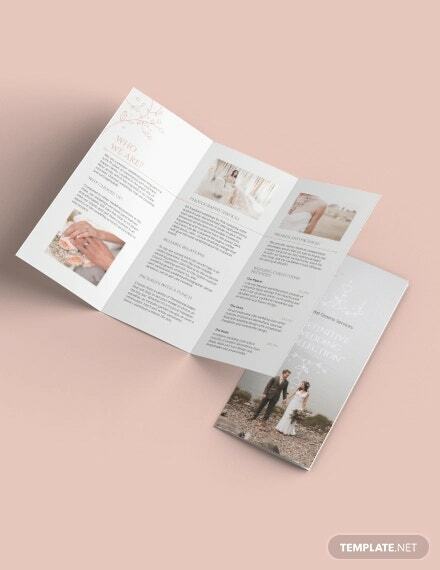 Make your special day memorable, with these brochure templates.